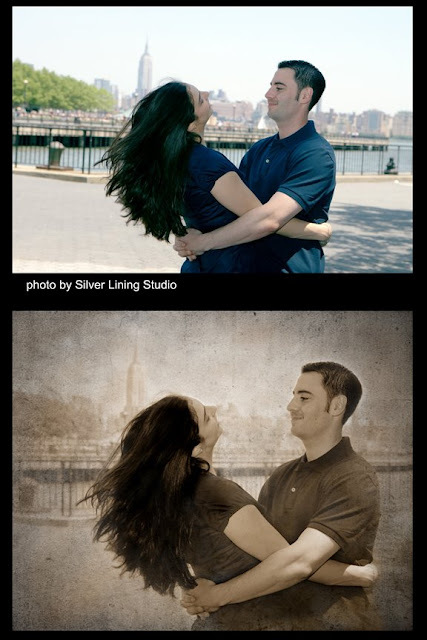 This is a lovely engagement session shot by my client, Silver Lining Studio, on location in Hoboken, New Jersey. I added some toning and texture to give it an urban feel with the New York City skyline muted in the background. 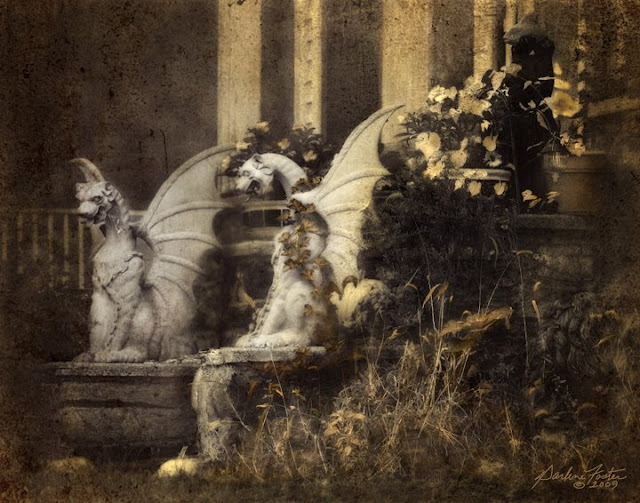 I've always had a passion for gargoyles. In spite of their intimidating presence, they have a grace and beauty all their own. Usually perched high atop buildings, they were traditionally used as a spout to carry water clear of a wall through the throat of the statue. The name stems from the old French word for throat, "gargouille" and is related to the Greek "gargarizein" meaning "to gargle". To me, they have always represented protection from harm and a guard against evil. True or not, I have a collection of them all over my house (Hey, you never know!). I captured this image in 1989 (I can't believe it's been 20 years!) in New Orleans, one of my favorite cities in the world. I happened across this wonderful man, who seemed to really enjoy being photographed, on Chartres St. in the French Quarter. 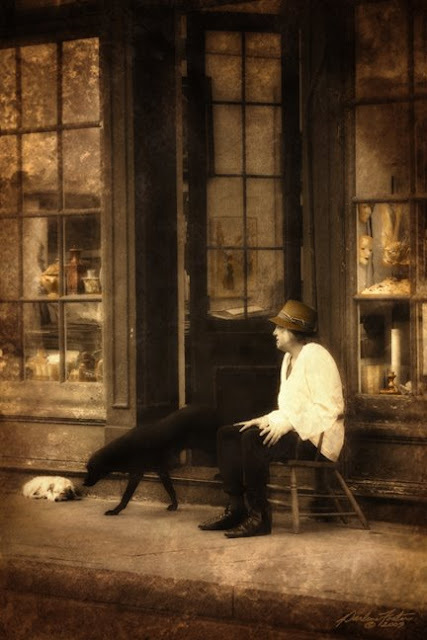 I took several shots but this is my favorite with the dog exiting the shop at just the right moment! It was originally shot with black and white film but I think a little enhancement with toning, color and texture gives it a different mood and feel.